Another long-loved mountain biking area, the Brecon Beacons have really moved up a gear recently. A complete package of pre-planned and packaged routes makes it easy to get the best from the natural trail network in this outstandingly wild and beautiful area. Ride open forests, struggle up loose and steep climbs, weave down some wonderful descents and find some of the steepest and most challenging drops. Whether you want bone-shaking moorland or gentle spins through stunning countryside you’ll find it in the Brecon Beacons. In order for you to plan your visit, all the routes start and finish at one of the 5 major mountain bike centres called hubs. The rides are also graded to help you in selecting the right route for the day and your own riding fitness/ability. 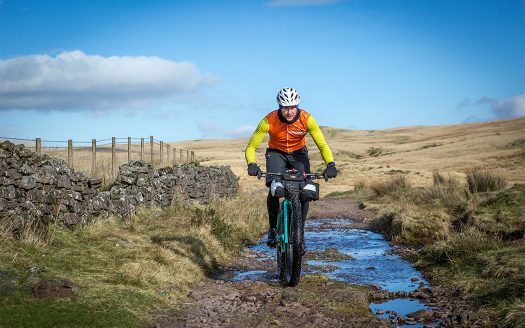 The Brecons Beacons National Park Authority has an exclusive Mountain Bike Pack which is available form their online shop. This pack contains 14 single track mountain bike route cards along with other information to get the best out of your visit to the National Park. Facilities vary through all hubs in the Brecon Beacons mountain biking area. Find out more about the trails and facilities at the official Mountain Biking Brecon Beacons website. The Brecon Beacons National Park is located in South and Mid Wales, in the United Kingdom. The southern boundary is just 25 miles north of Cardiff the capital city of Wales. Stretching from Hay on Wye in the east to Llandeilo in the west, it incorporates the Black Mountains, the Central Beacons and Fforest Fawr as well as moorland, forests, valleys, waterfalls, lakes. Drive north on the A470.